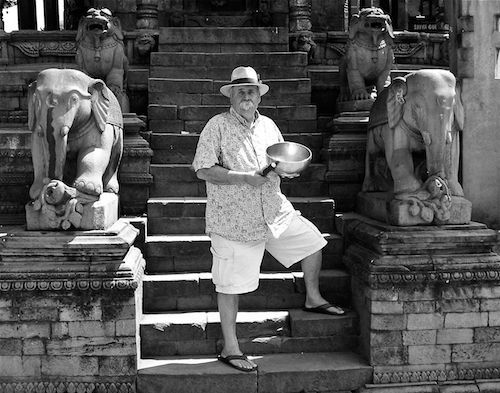 Senior Instructor, Spiritual Director, and Drup Shen Pa - Mitch Nur, has spent nearly 5 decades as a Archaeomusicologist, Sacred Sound Researcher, Practitioner and Teacher. An authority on Sacred Sound instruments and applications as it pertains to ritual, ceremony, sound therapies, shamanic healing, meditation, and personal transformation. His engagement with the compassionate teachings of the East, combined with his shamanic training, gives him a unique perspective among today's teachers. His Tibetan name is Menghak Rinchen, which means 'precious esoteric wisdom'. Referred to as the 'Indiana Jones of Sound Healing' by many of his colleagues, he is a member of the Society for Ethnomusicology. Guest Instructors and Teachers for the 9ways Academia Include: the 7th Kundrol Namkha Thinley Wangyal Rinpoche, Khenpo Ratsa Geshe Tenzin Dargye, Khenpo Ogyen Rangshar, Geshe Tenzin Drukdak Rinpoche, Geshe Nyima Kunkyab, Tog Den Won Po Geshe Chongtrul Rinpoche, Arkan, Robert Bednar, Benjamin Bowles, Carol Cannon, Alexander Sasha Dreyshner, Betsy Ingram, Dima Klim, Sister Coni Lopez, Kalpana Parekh, Taunya Laya Rivera, Wendy Young, Howard Barry Schatz, Tok Tamang, Alexandre Tannous, and Alysia Tromblay.